Kiwi - Eat at Home Word templates - contain many nutrients and elements needed by the human body. And we must remember that these items will be useful if eat properly. 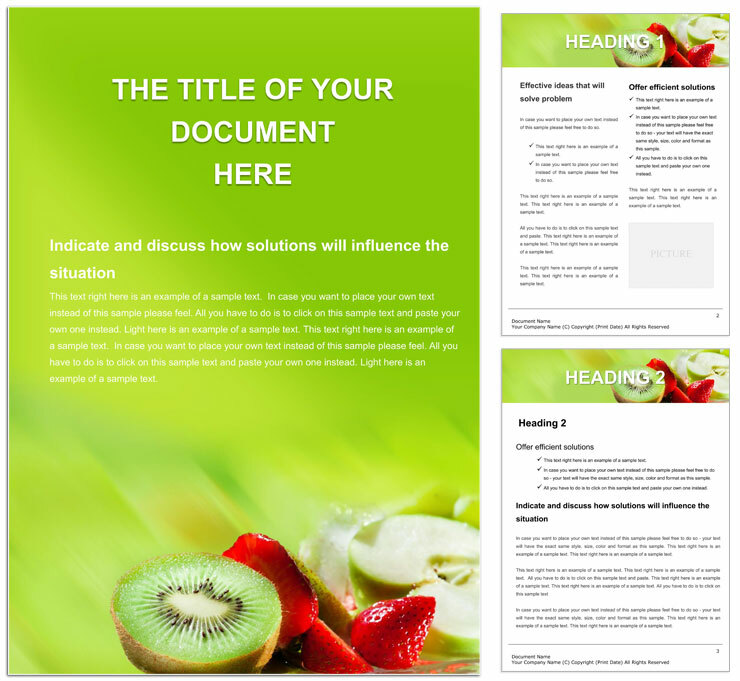 Download Kiwi - Eat at Home templates for Word documents. You can download examples of professionally drawn up designs for documents. Contains the text of the document, images, formatting, styles, drawing objects, and other parameters of the document.